On a rainy spring afternoon, sometimes there is nothing better than curling up with a good book, a pot of tea and a scrumptious scone (or three... ahem!) Here are five recipes guaranteed to brighten your day! A blank pastry canvas! Try fabulous combinations like pumpkin-cinnamon, cranberry-orange, blueberry-lemon, fig-walnut, white chocolate-macadamia, chocolate-hazelnut - the possibilities are endless! 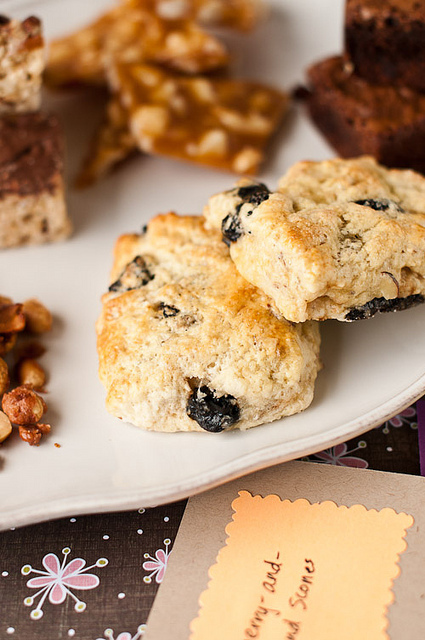 Made with almond flour, Elana's scones are grain free, dairy free and delicious. Even if you can't feel summer, you can sure taste the warmer weather in these sun-soaked scones! With a complex blend of flavors, Jenn's scones are moist and flaky! Yum! The only thing missing is the rum icing!